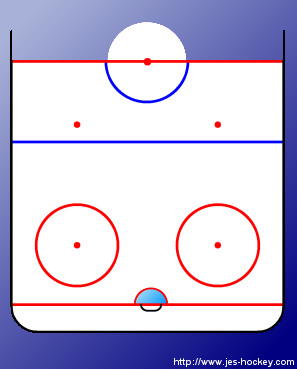 Players line up as shown - 2 D on the point and right hand shots on the right and left hand shots on the left. 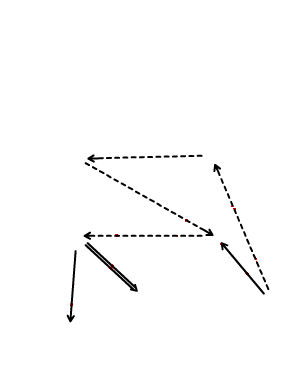 Both ends of the ice - extra D join the forwards. 1. RW passes to the D, D to D pass, cross ice pass to RW, RW to LW for one timer. Start off making sure players use proper technique, have them go faster, than have them use touch passes. Make sure players receiving the passes are prepared to adjust to the pass if it is off target - in their hockey stance. 2. After the LW takes a shot he goes to the end of his line and the next LW starts up the play again. Make sure the forwards are on their off wing so they can take the one timer.